Kashmir, one of the regions in the Jammu & Kashmir state in northern India is a beautiful place for trekking, with scenic lakes and mountains. In winter, it boasts a well known ski resort too. However, dogged by internal (and external) disputes and terrorism, tourism is relatively slow. Nevertheless, if the opportunity arises, there's plenty to see and do. In summer, trekking is the thing to do, with spectacular Himalayan sceneries to accompany you. There are also the royal gardens to visit, reputed to be colourful and mermerizing. Well, I didn't get to see it because I visited Kashmir in winter, and the gardens are, well, alittle dry. Still, winter in Kashmir presented its own charms. 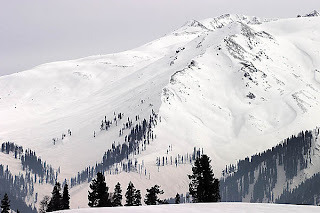 As mentioned, there is a ski resort in Gulmarg. Whats cool, you get to ski with the Himalayas as your backdrop! Or you could just do some simple sledding, or just take in the winter view! The journey up the mountain is interesting in itself. The road at certain parts are challenging, and at one of the corners on the mountain road, traffic was held up because the bus on the opposite direction got stuck in the ice/snow slush! 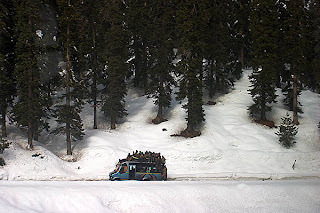 Also, the local Kashmiris would all clamour up the bus and take a free ride up the mountain on the bus top! Once on the top, they will jump down and offer their services, typically sled pulling! 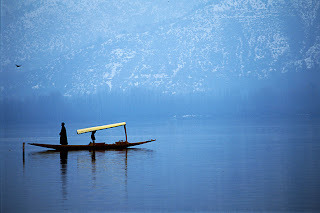 Of course, the top draw in Kashmir, whether in winter or summer, is a visit to the lakes and their houseboats. These houseboats are a legacy of the British, and is now a major tourist attraction. You get to stay in a beautifully decorated houseboat, complete with a cook and butler. In winter, the landscape is grey and misty but has its own charm, and I'm sure in summer, it's spectacular. 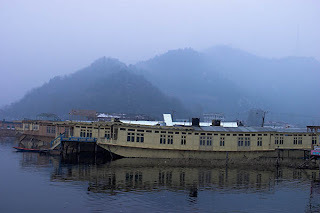 Access to these houseboats are via shikharas, a small boat that can sit 2-4 persons. The lake sightseeing are also done on these shikharas, and merchants on shikharas would row towards you and offer their wares. Bargain hard though! I hope the political situation improves over there. 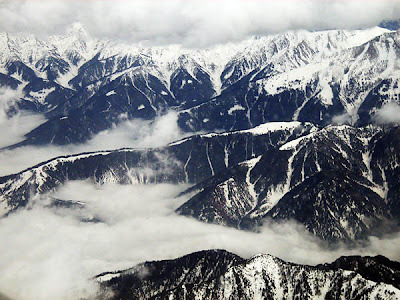 Kashmir is really a beautiful place not to be missed!